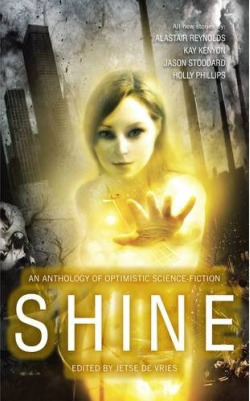 Wondering what’s happening with the Shine anthology of postive science fiction that was announced last year? With the Shine anthology now slated for an April 2010 release, and with exuberant SF as thin on the ground as bankers without bonuses, DayBreak Magazine will alleviate the waiting and fill the gap. Simultaneously quenching your thirst for upbeat stories while also whetting your appetite for the main uplifitng dish, DayBreak Magazine will feature a positive, forward-looking story every second Friday until the print Shine anthology is released, or possibly even a bit beyond that date. The launch is on Friday October 16, on the eve of Diwali, with “The Very Difficult Diwali of Sub-Inspector Gurushankar Rajaram” by Jeff Soesbe. The second story will be released on Friday October 30, the eve of Halloween: “Horrorhouse” by David D. Levine. More to be announced. A new story every two weeks: stories set all over the world, all depicting a future in which you would actually love to live. All for free, and all for your delectation. Please note that these online stories are different from the ones in the print Shine anthology: It’s just that I liked them so much I’ve decided—after negotiations with the authors—to put them online as a free showcase for upbeat science fiction. There will be helicopters, wobbling! There will be children, rebelling! There will be elephants, marauding! There will be monkeys, harassing! There will be the third eye of Shiva, watching from the sky! There will be the ghost of Dev Kapoor Khan, the Indian Elvis! Will Sub-Inspector Gurushankar Rajaram overcome the increasing madness around him, or will he become mad, himself? Confused? You won’t be, after reading “The Very Difficult Diwali of Sub-Inspector Gurushankar Rajaram”, an exuberant tale of a near-future India that puts most Bollywood pictures to shame! Well, that’s your weekend reading sorted, anyway! Leave a comment at DayBreak if you take a look, but feel free to pop back here and discuss, too. Has Jetse delivered on his promise of solid stories with a positive outlook? (Deliberately) misinterpreting the meaning of ‘optimistic SF’. You cannot predict the near future exactly, so you might as well not try. 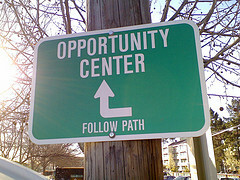 There is no possibility for conflict in a full-on optimistic future. I can’t do it because we live in dire times. My downbeat SF story is meant as a cautionary tale. I will not confirm to your positivist agenda: nobody tells me what to write. This is a defence mechanism: most SF writers don’t want to write something that is too difficult, too risk-taking, and – dog forbid – relevant. They just want to write about something they find cool, and will throw up a barrage of excuses just to keep doing that. Those excuses are often dressed up as reasonable arguments, but more often than not what they really imply is: “Hey, I don’t want to this near future, optimistic stuff: I just want to stay in my comfort zone.” And indeed, that’s what most dystopias are: a comfort zone for unambitious writers. There is a myth in writing circles that writers really like a challenge: tell a group of writers that they can’t do something and by golly, they will show you they can. Well, that myth is only true for simple challenges, like when Gordon Van Gelder said he didn’t like elves: immediately half the writing community brainstormed brilliant elf stories that would leave Gordon breathless. However, now that I’m throwing out a real challenge – near future, optimistic SF – the utmost majority of the SF writing community is enormously reluctant at best, and downright dismissive at worst. Obviously, this is a challenge that doesn’t count. Well, I’ve got a message to all those writers who think they can ignore this challenge: get real, that is: look around in the real world. There is a huge imbalance between pessimism and optimism in written SF today: the genre is overwhelmingly bleak. With Shine I’m trying to redress that lopsidedness somewhat. It’s a challenge: try your hand at this for just one short story only. But the general impression I’m getting from the SF ghetto is that ‘you’ll have to pry the pessimism from my cold, dead hands’ (exceptions acknowledged, of course). And indeed, if SF stops trying out new avenues, if it stops renewing itself, if it will not take risks, if it does not try to be relevant, then it will die. At which point it can keep its bleakness. The genre’s antipathy to change and new ideas is an observable phenomenon – one only need look to the backlash that Mundane SF produced for the proof – and Jetse’s dismantling of the seven excuses is lucid, logical and provocative. Essentially, all the defences boil down to one: I don’t wanna. And that’s fair enough, I guess – though it does somewhat put the lie to science fiction’s claim to be the foremost literature of the imagination. I’ve been trying and it’s really bloody hard! […] the three months I’ve been trying to write optimistic stories are not enough, I have a feeling that it’s a life time’s work. I’m not going to give up though. Kudos to him for that – any sort of change takes effort and will, after all. So, all you writers among Futurismic‘s audience: do you have an excuse that’s not on Jetse’s list?